When it comes to the application or uses of a Moffett, you should be aware, the options are unlimited. The lightweight designs come with maximized truck capacity, all-wheel drive for rough terrains, and heavy engines for heavy cargo. At Moffett Truck, rest assured that regardless of your material or load handling needs, the various models and range of options serve various industrial or warehouse uses. If you are planning to invest in a used Moffett forklift for sale, you need to know about their various applications. Being in this industry for several years, and having enough knowledge on the uses, we would like to guide you on the assorted Moffett applications. 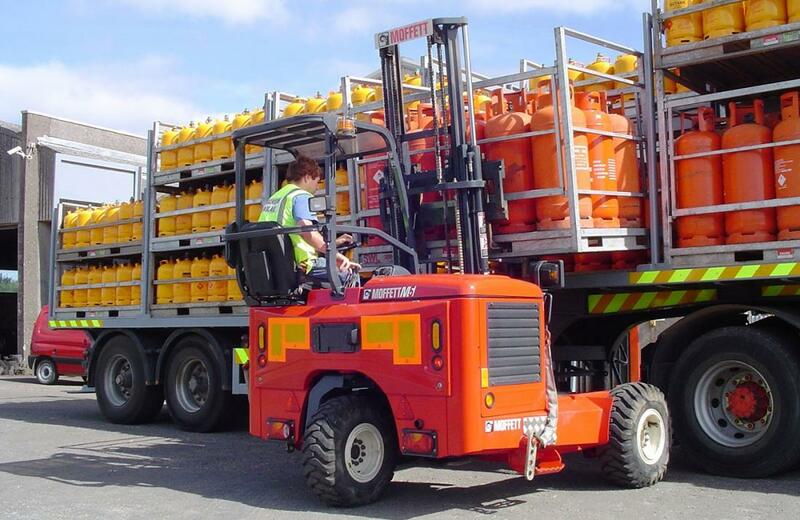 Low weight, compact size, and maneuverability are important for forklifts, which operate in most urban areas. If you are searching for a machine that serves this purpose, then the Moffett M2 in our collection is the right choice for you. It superbly handles the most confined spaces and wriggles through narrow areas to deliver customers with the best ease of movement. However, you can also turn to the E-series, which are the perfect urban classics. These are one of the world’s first ever type of lithium-ion battery trucks or forklifts. They offer silent options, meaning you can use them in some urban areas late in the night, or even earlier in the morning, where the levels of noise could be a sensitive issue. Since they do not emit exhaust gases, they are also easy for the environment. Their lift capacity is about 2000kgs. Whether it is narrow trails, muddy ditches, or marshy grounds, our range of rough terrain forklifts has the power to cruise through. They are more like battle tanks and come under the category of being the most powerful lift trucks. Their load capacity extends to about 3500kgs, and offer easy maneuverability. If you are searching for a lift truck that should serve semi-industrial uses, then the M5 is the right choice for you. Regardless of the condition, this is a compact option, strong and on that has the power to handle the toughest conditions and move well in confined spaces. In addition, it can transfer loads safely and quickly, whether it is a cluttered area or in a tight warehouse space. This truck also features a load capacity of about 2500kgs. Regardless of your industry, you should know that a truck mounted lift truck is a valuable asset, one that helps to make more deliveries in a less time. You can turn to the Moffett M4, which is durable, one built to serve a wide range of commercial and industrial applications. However, you should not let the small size of the truck deceive you. This comes with the best performance and power, making loading and unloading precise on rough and smooth surfaces. The load capacity is about 2500kgs and has a 4-way mode for accessing tight areas along with wide roads. For your next Moffett forklift, do get in touch with us today, at Moffett Truck! If you are searching for more information, contact us right away and we would be glad to help you out as soon as possible.